If you stopped by my shop you might have seen this pattern is finally done for anyone who asked me about it this summer! I initially wrote a pattern for this quilt in July for a subscription box, and it’s been on my list to re-write it and stick it in my shop. 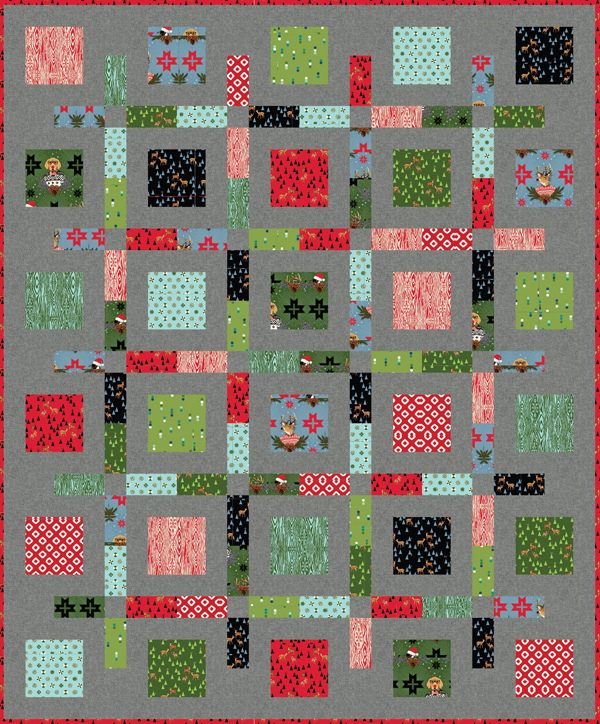 I went back and forth on the sizing, and finally decided to make the blocks bigger so you could use fat quarters or layer cake squares, and simplify the design a bit. For the life of me I couldn’t decide which sizing I liked better, so the PDF version of this pattern includes the Boxed Up pattern with the large blocks shown above, and also the Flower Box version of this pattern below, with the smaller blocks that I wrote this summer (only in a throw size). If you bought a Paper version of Boxed Up and want the PDF of the Flower Box pattern just email me and I’ll send it over. Are you confused yet? Me too. 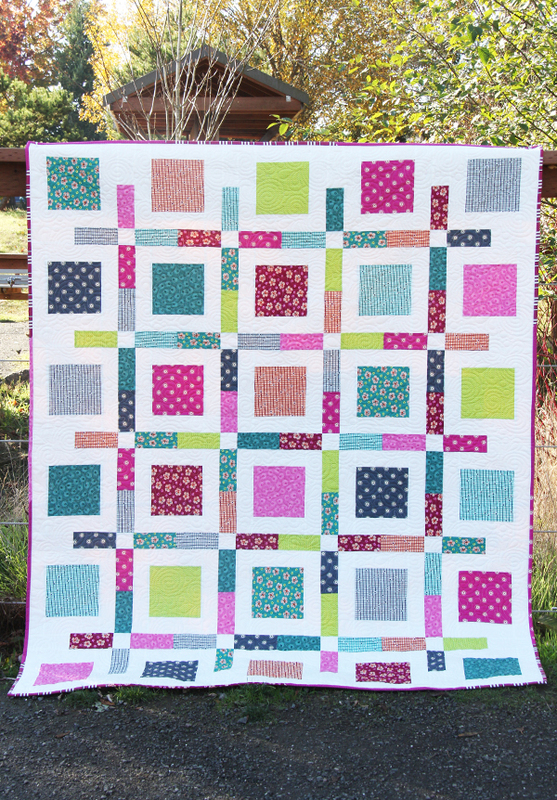 Kaitlyn did the quilting on this quilt, and the fabrics are Washington Depot by Denyse Schmidt. 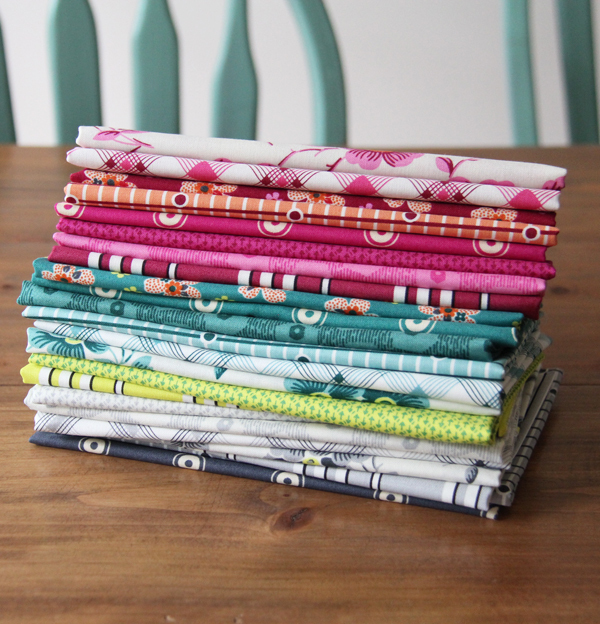 I used my scraps and extra fat quarters to make a scrappy binding with the pretty magenta fabrics. I bought some fat quarters of Tula Pink’s Christmas Line Holiday Homies, and I think the large scale prints will be awesome in this pattern, and easy enough I can whip it out before Christmas….maybe. The Boxed Up pattern can be found here (or paper version here). I LOVE this pattern! It looks so great in both Denyse’s fabrics and Tula’s. Nice post, my friend! Thank you Kathy! I miss “chatting” with you! One of these days I’ll be done with my house and back to sewing and emailing you more often! 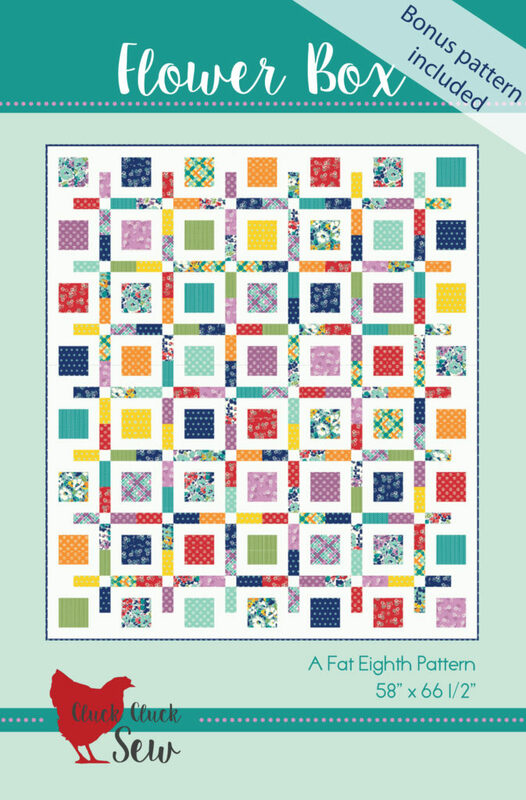 This would be great for a memory quilt! I love both of these! It is hard to get perspective from the pictures (and never both quilts in one picture.) 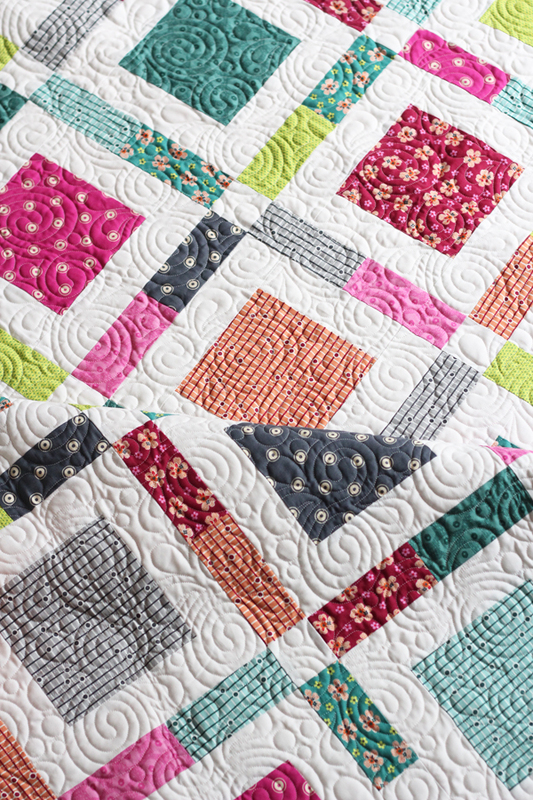 Can you tell us how large one of the squares are for each quilt? 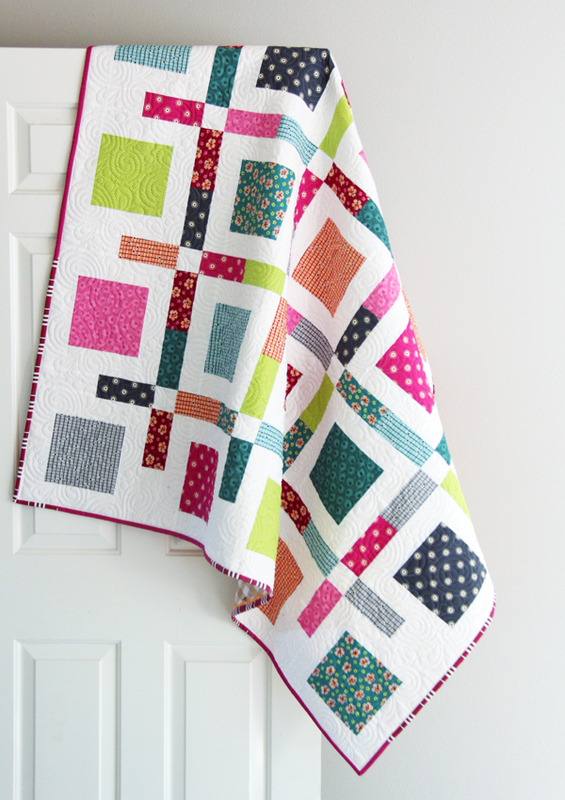 The larger one has 6 1/2″ squares, the smaller has 4 1/2″ squares! I received my paper pattern Boxed Up but I don’t see the bonus pattern of Flower Box. I thought both would be in the envelope. Maybe you don’t have a paper of it. I actually like it better. Maybe email it to me. Thank you. I’ll email it to you Judith! it’s only on the PDF copy, at the end of the pattern. Let me know if you don’t get the email! 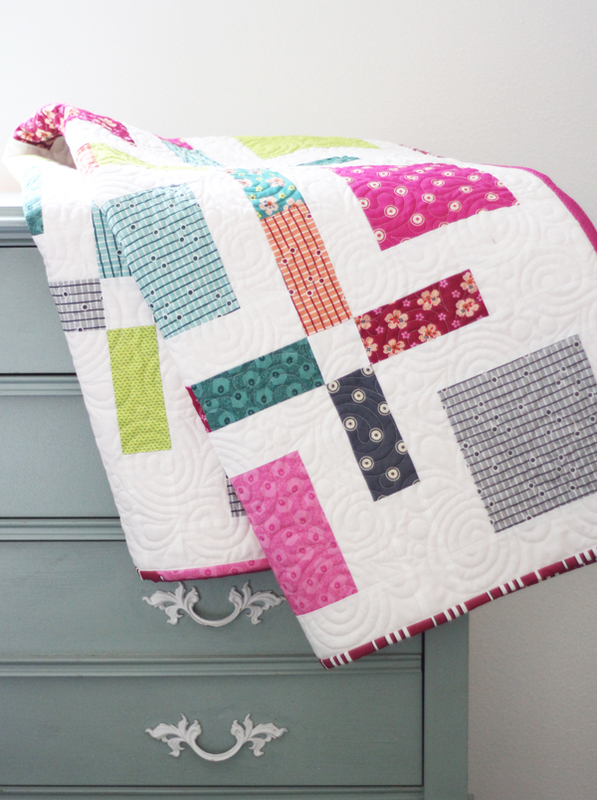 Did you ever make this quilt using the holiday homies fabric? I would love to see it, if you did! Thinking about making one. Thanks!